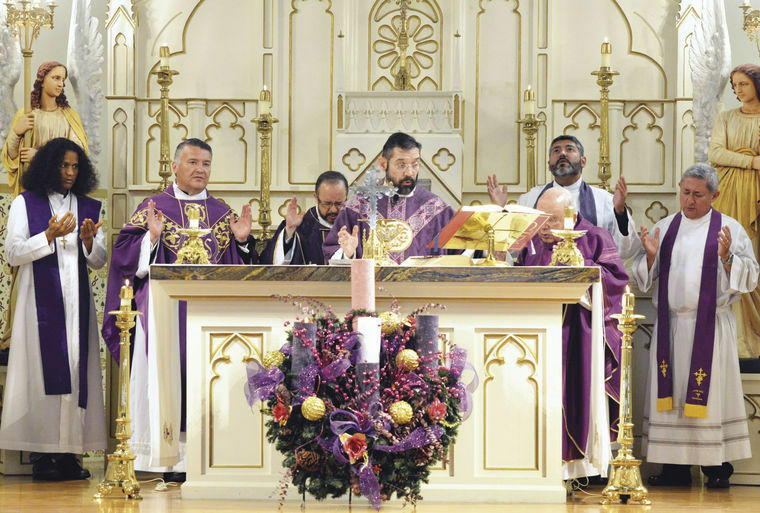 BROWNSVILLE — The Catholic Diocese of Brownsville was among the lowest scoring U.S. dioceses in terms of online financial transparency, according to a study released Nov. 7 by Voice of the Faithful. The nonprofit group originally formed to support survivors of clergy sexual abuse but also advocates for “accountability and transparency” in how the church handles its financial resources. However, a spokeswoman for the diocese said an initiative was already underway to make more financial information available online. Brownsville shared the lowest ranking with the dioceses of Biloxi, Miss., and Camden, N.J., and the archdiocese of Mobile, Ala. Also scoring among the lowest were the Archdiocese of Portland, Ore., with 15 points; and the Archdiocese of Hartford, Conn., with 17 points. The highest score for online financial disclosure went to the Diocese of Sacramento, Calif., with 59 points, followed by the Archdiocese of Milwaukee, Wis., and the dioceses of Cleveland, Ohio, and Des Moines, Iowa, each of which scored 56 points. Researchers based the scores on 10 questions, with a maximum of five possible points awarded for each question. Among other topics, the study probed whether websites contained easily found financial data and working internal search functions; whether appeals for donations from laity were adequately explained and reported on financial statements; whether business office contact information was provided; and whether parish financial guidelines were posted. The study found that 61 dioceses shared no financial data on their websites, and 75 dioceses did not post parish financial guidelines. The average overall score for all U.S. dioceses is 36. If viewed from a pass-fail perspective, half of U.S. dioceses failed, according to VOTF. Margaret Roylance, VOTF trustee and chairman of the Finance Working Group, said many years of experience in government-sponsored research and development impressed upon her “the degree of financial accountability required from those who receive taxpayer money.” The church hierarchy, meanwhile, depends on financial support from the laity. Brenda Nettles Riojas, Brownsville diocesan relations director, acknowledged in an email that the diocese scored low in the VOTF study, but said the diocese already had begun developing a new website that will include financial information.